When looking for springs for an application, there are a many options. One of those options are stock springs. While product design engineers have the option of changing the mating parts within an application to fit the measurements of a stock spring, it is far more beneficial, for more many reasons, for companies to work with custom spring manufacturers. The very nature of stock springs is that they are limited in both their capability and compatibility. The term “stock” itself can be defined as “so regular that it becomes common or hackneyed.” When designing a new product, they can be used as a temporary solution so that a prototype can be completed, but manufacturers should always opt for custom springs when the time comes to put the product into full production. Stock springs, while useful to the applications that are molded to fit them, are better left on the shelves. Why change an entire application to fit a spring when custom springs can be designed and manufactured specifically with a particular application in mind. As opposed to stock springs, custom springs and wire forms are, by nature, completely flexible and able to be molded to fit any product or application. Whether the application requires compression, extension or torsion spring or any other type of wire form, working with a custom spring manufacturer is the best course of action. 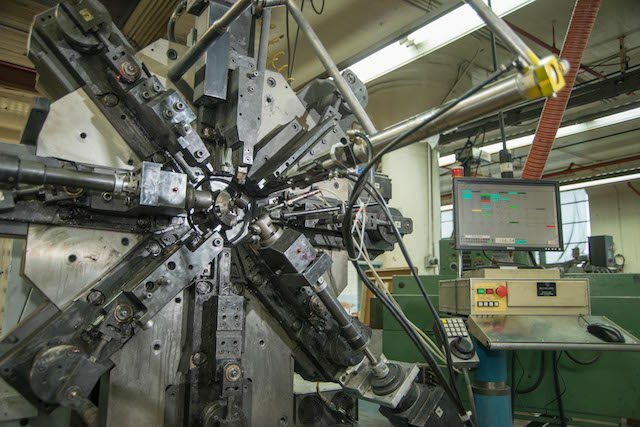 These considerations, and the many other you can make, ensure that your spring can handle the right loads, last for the longest period of time, and have the desired response within your application. Because stock springs are not specifically made for a specific application, they will most likely need to be replaced fart sooner than a custom spring, costing you much more over the long run. There is no investment in designing a custom spring for your application because the right spring manufacturer will provide guidance on spring design free of charge. This saves you time (and thus money) that your internal engineering team would have spent reconfiguring an application so that its fits the specifications of a stock spring. Don’t waste time or money, contact The Yost Superior Co. today to design a custom spring for your product or application.